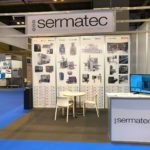 For another year, SERMATEC will attend the Hispack 2018 fair with all our represented companies. Hispack is the packaging and PLV leader fair in Spain and one of the top in Europe. Hispack offers its visitors a complete experience in the packaging sector. It will show design solutions, new materials, manufacturing processes, packaging, and all kinds of packaging for industrial and consumer areas. Visit us from 8th to 11th of May at Fira de Barcelona, Hall 3, Stand D462.